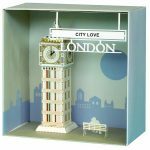 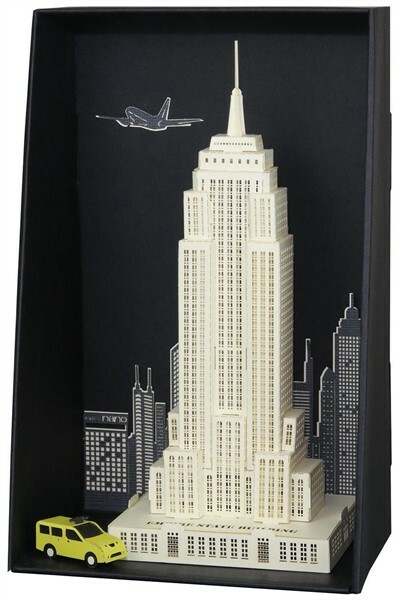 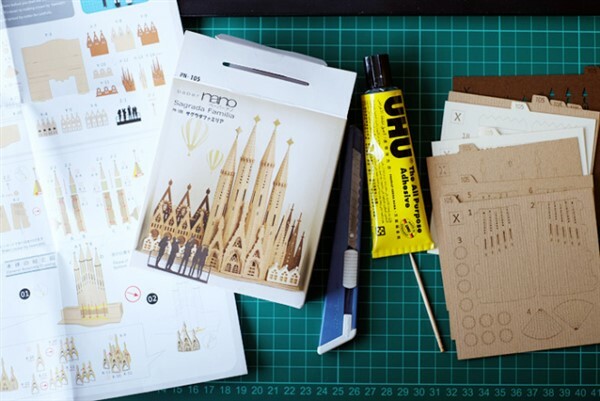 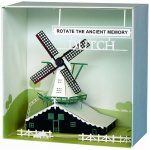 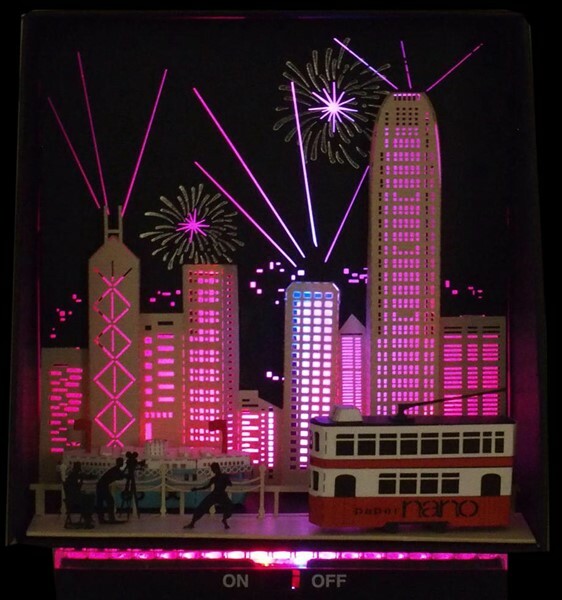 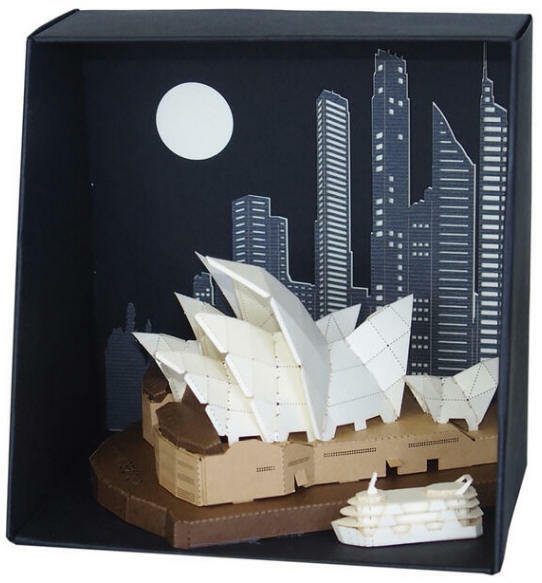 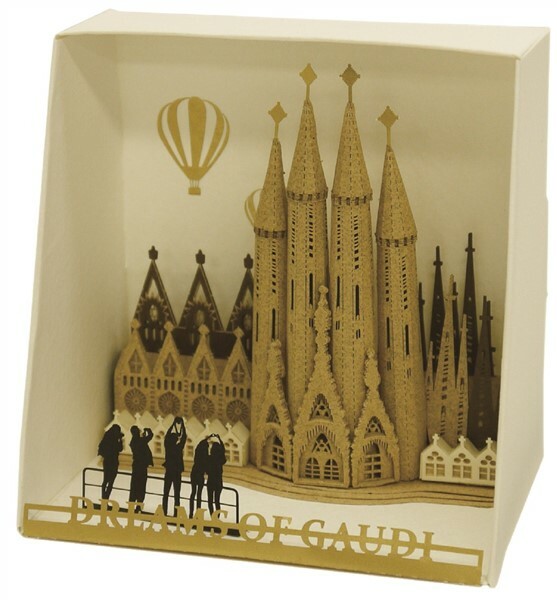 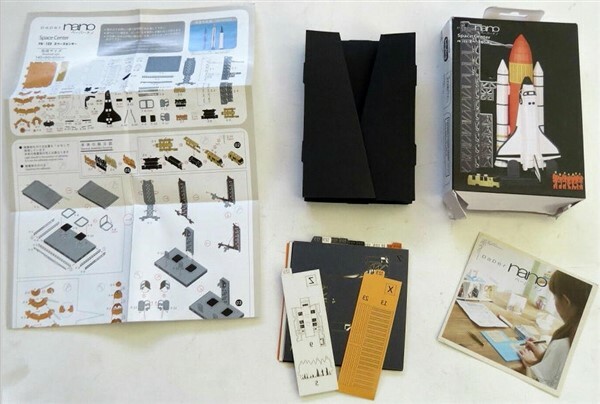 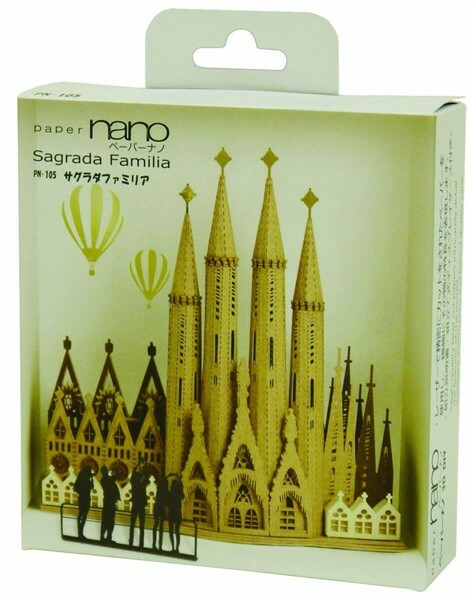 In september 2013 a new kind of micromodel was introduced under the name of Paper Nano: all the parts of the models are laser cut. 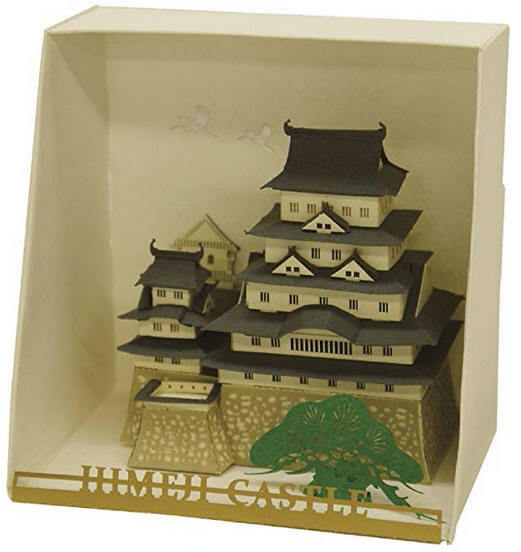 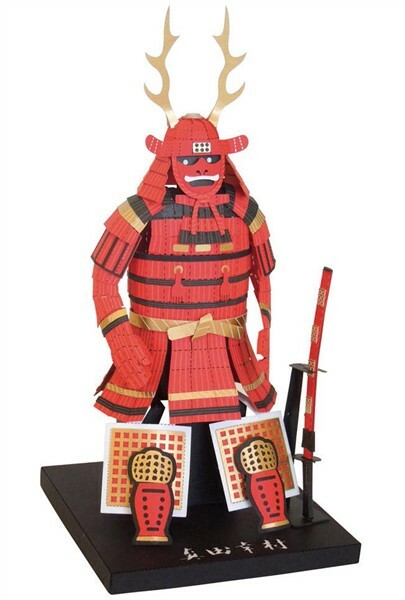 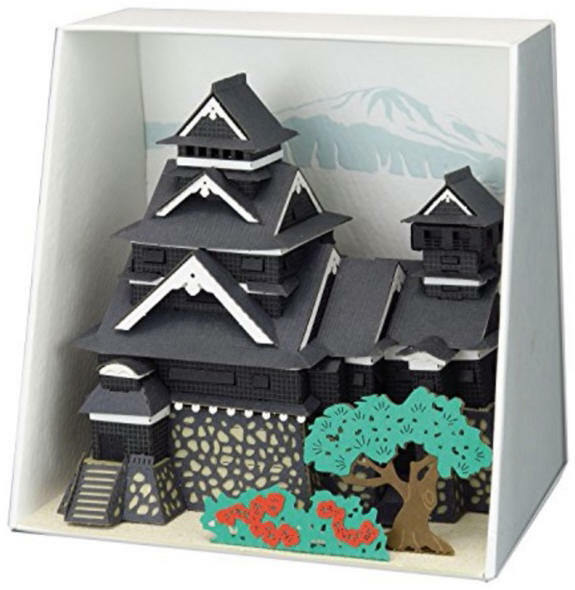 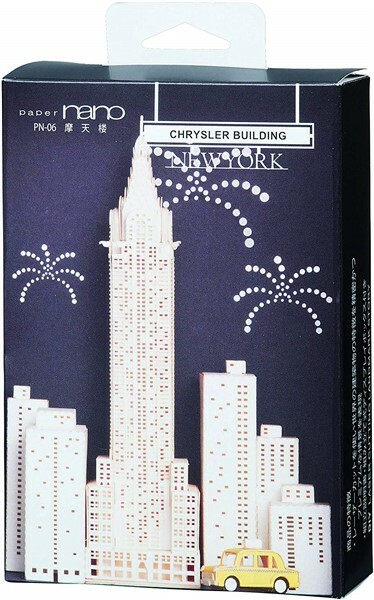 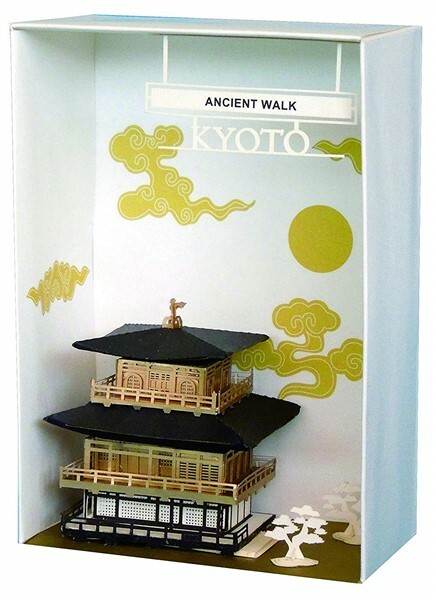 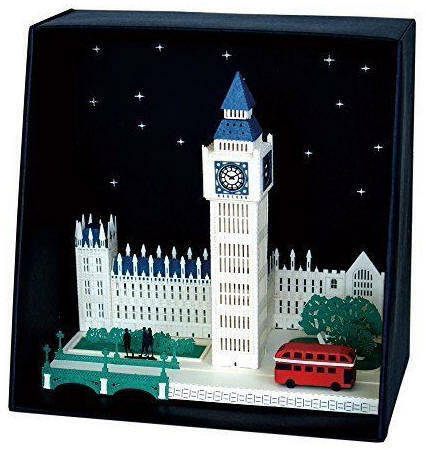 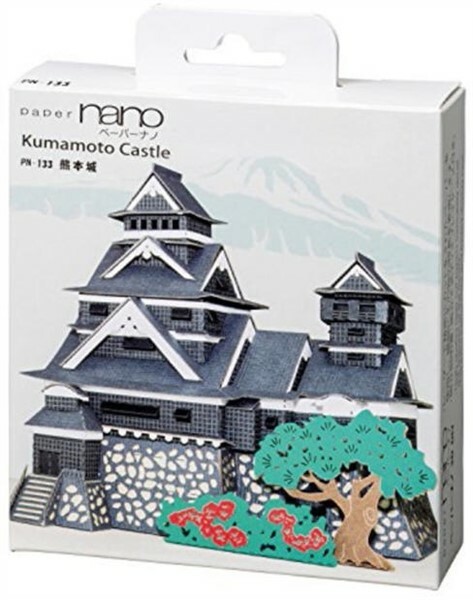 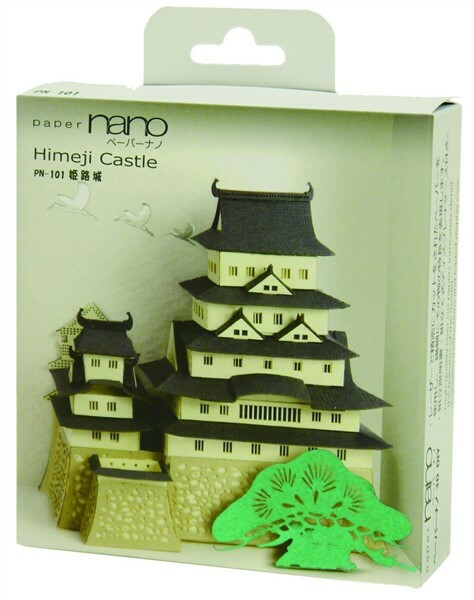 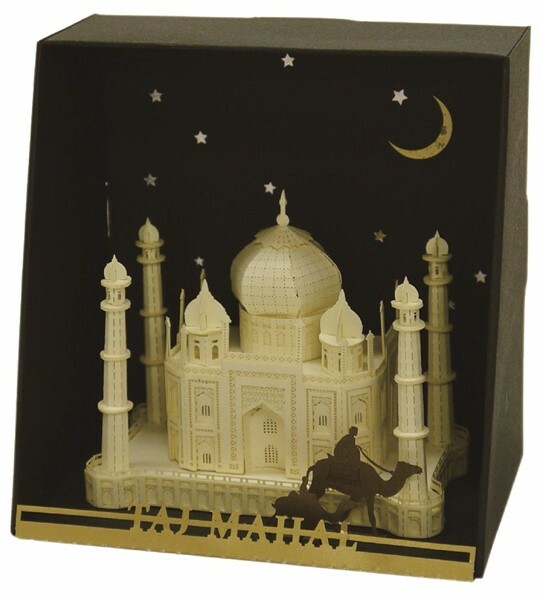 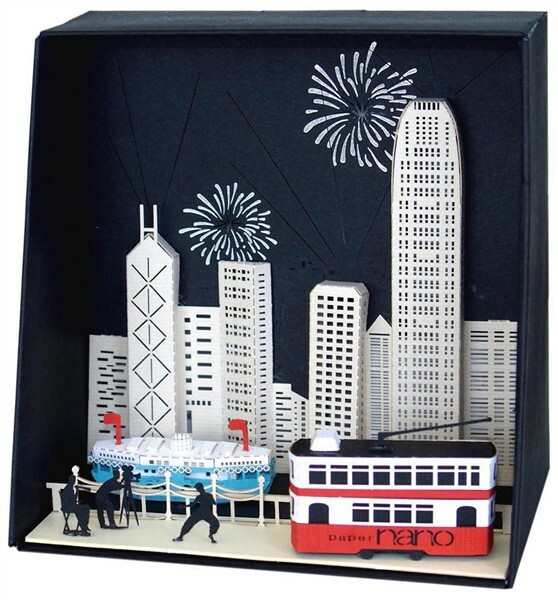 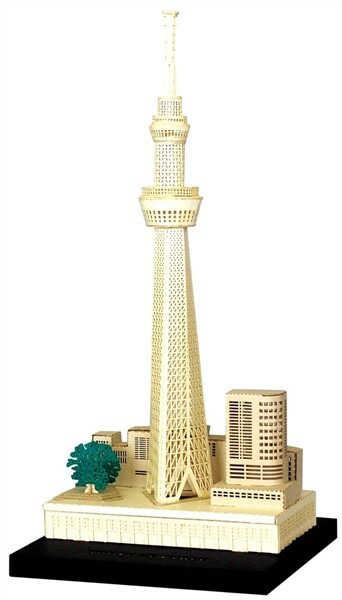 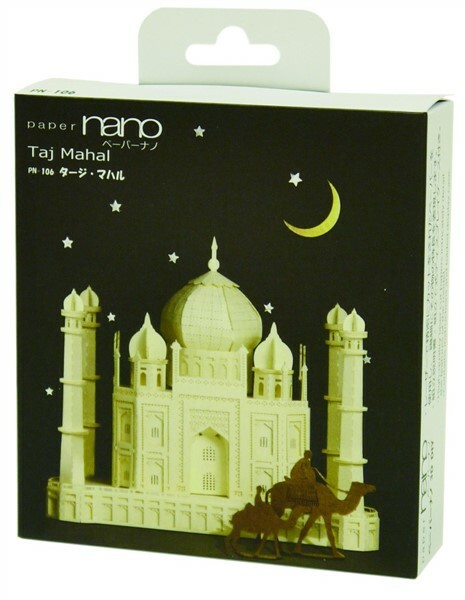 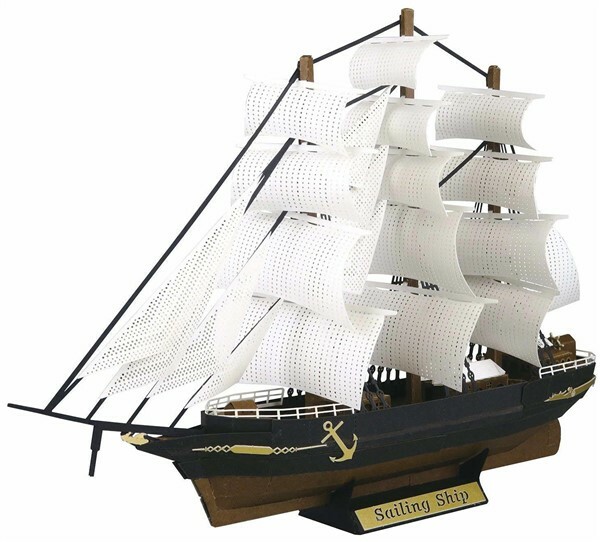 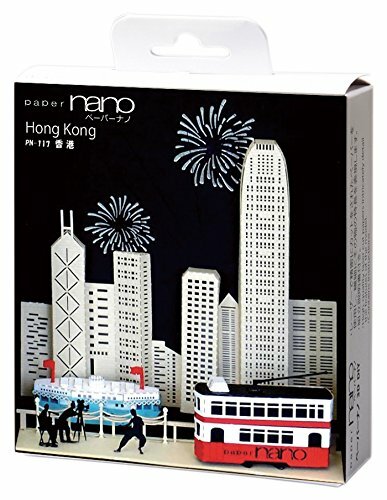 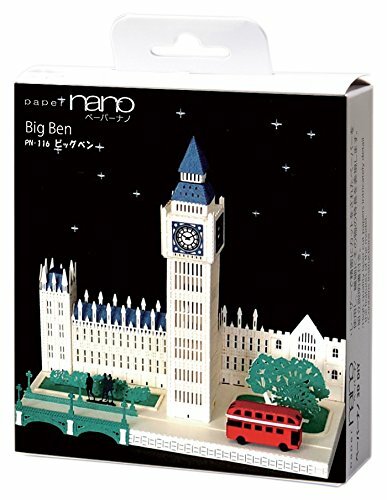 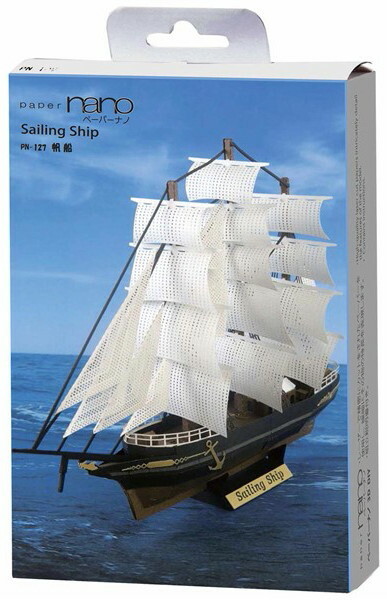 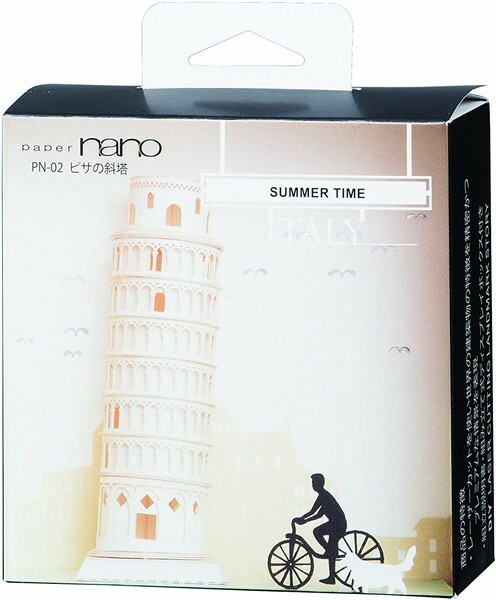 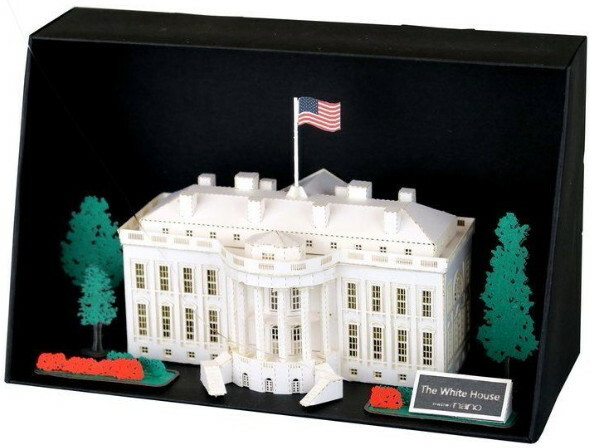 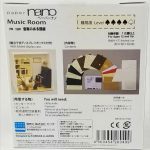 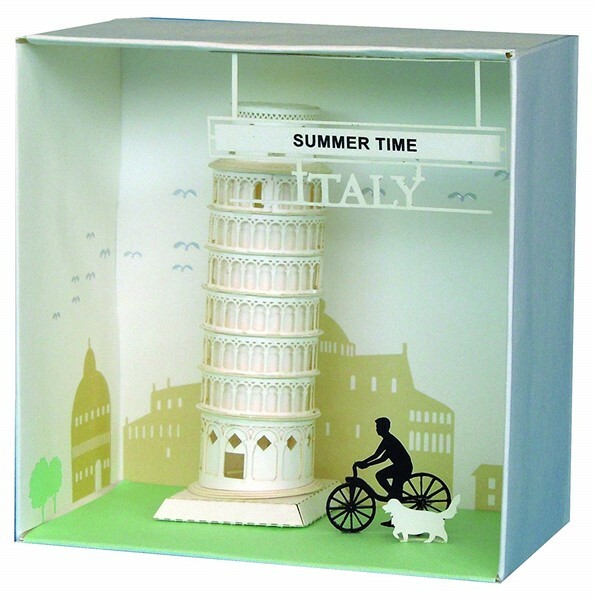 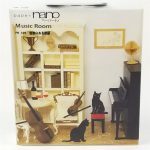 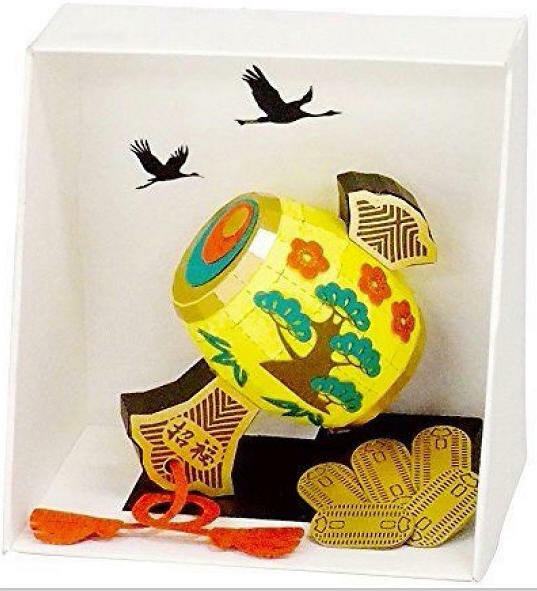 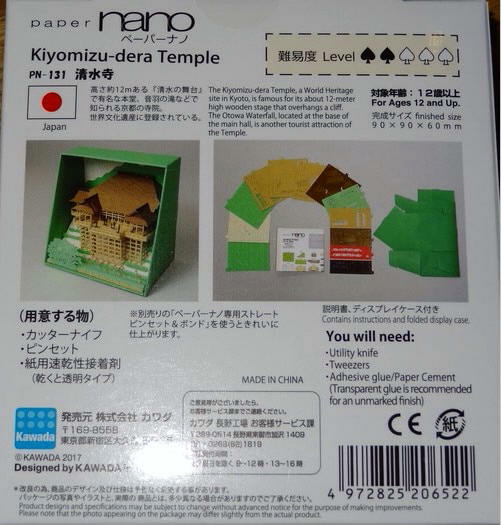 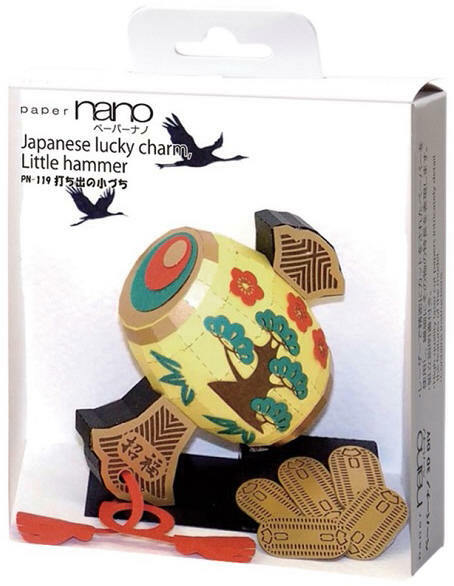 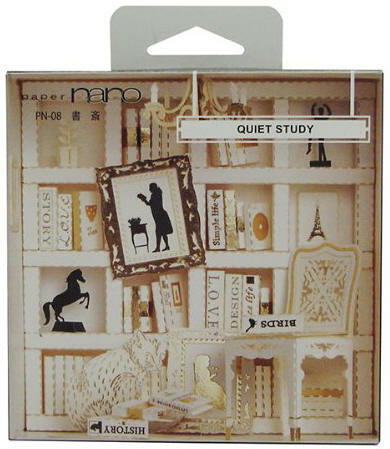 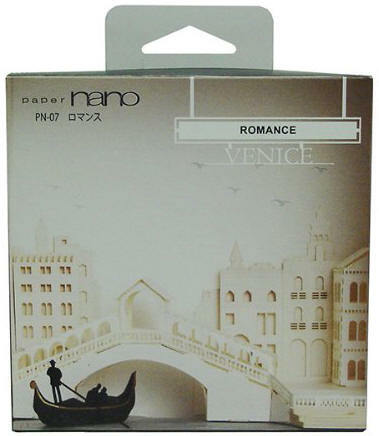 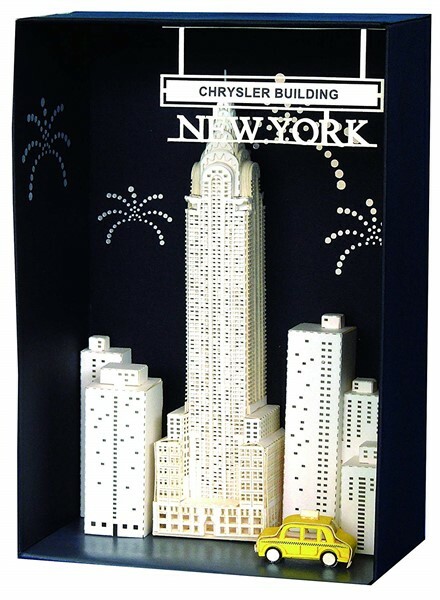 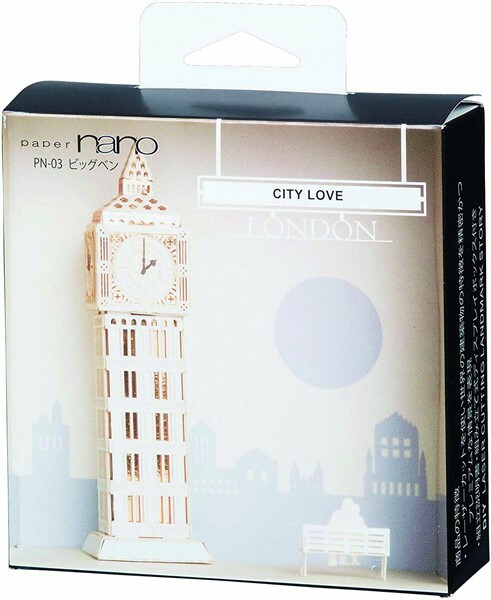 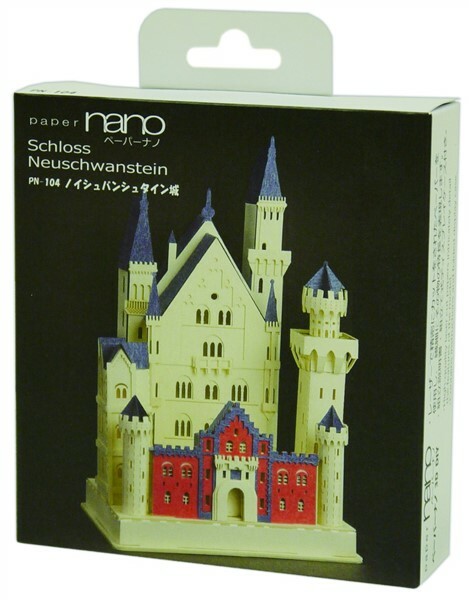 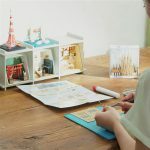 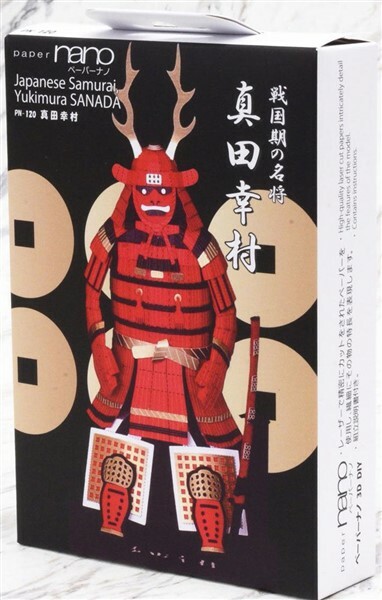 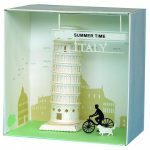 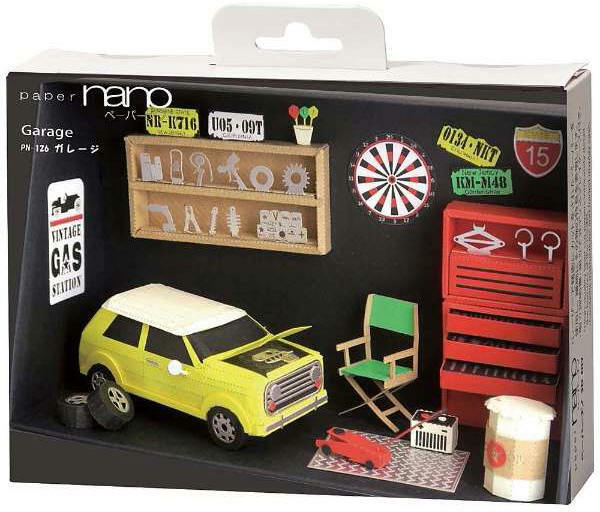 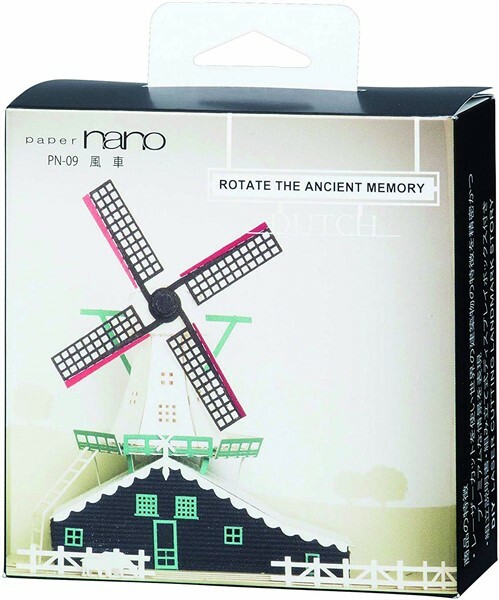 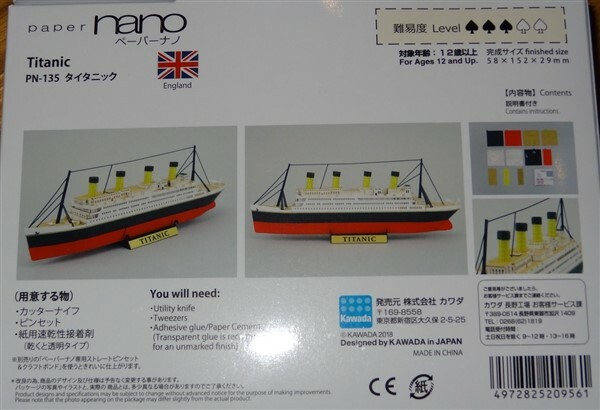 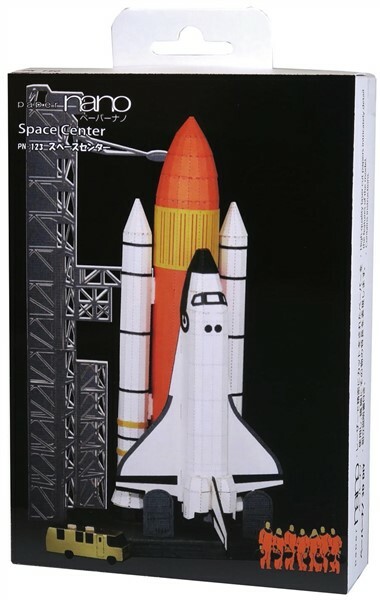 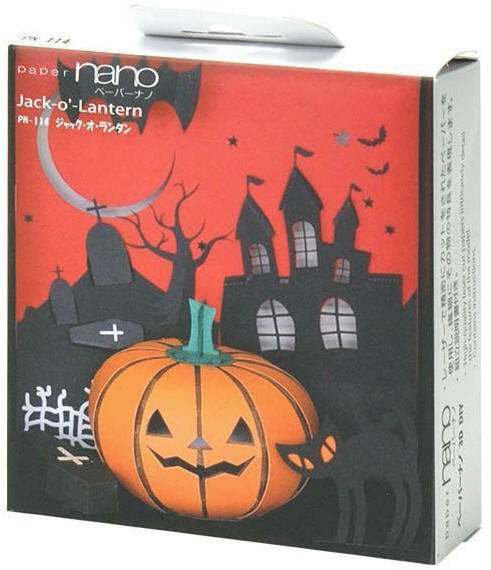 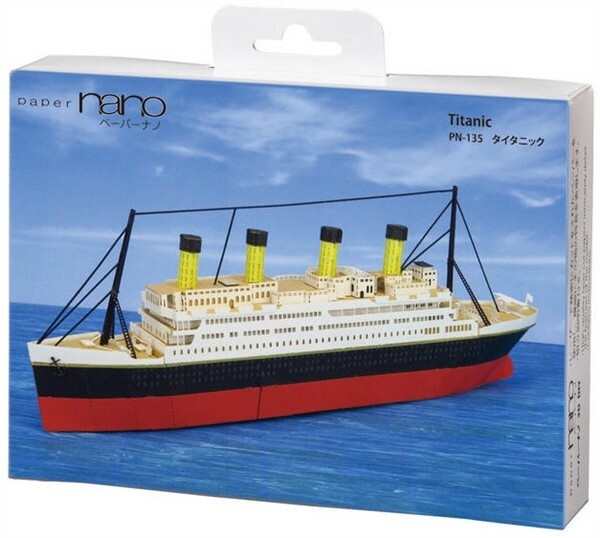 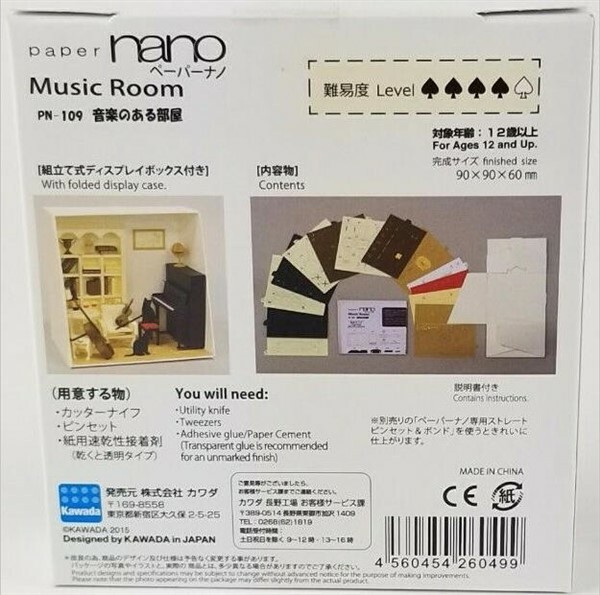 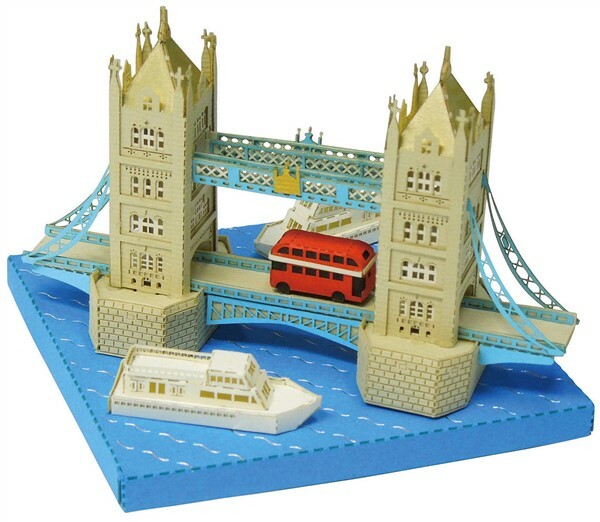 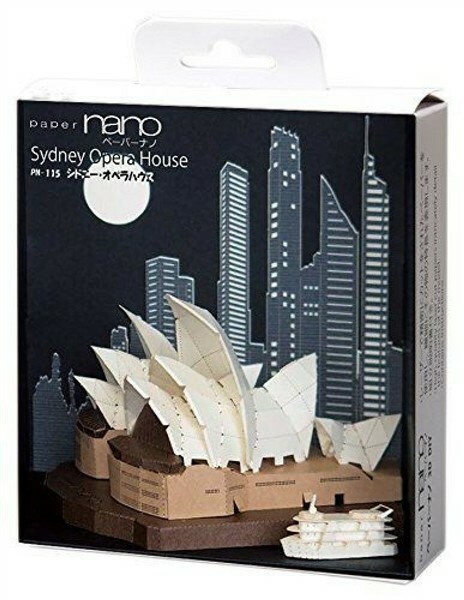 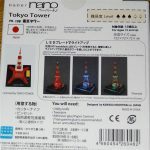 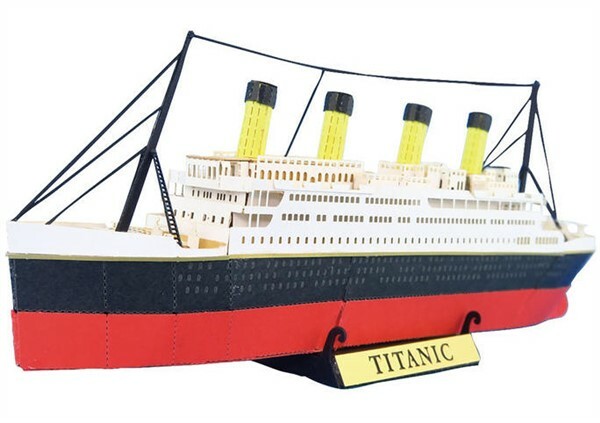 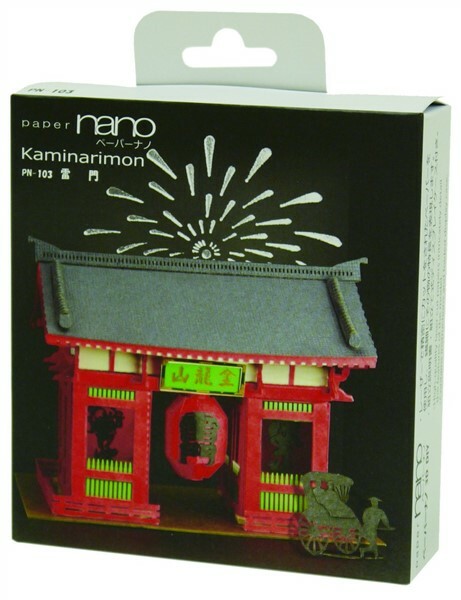 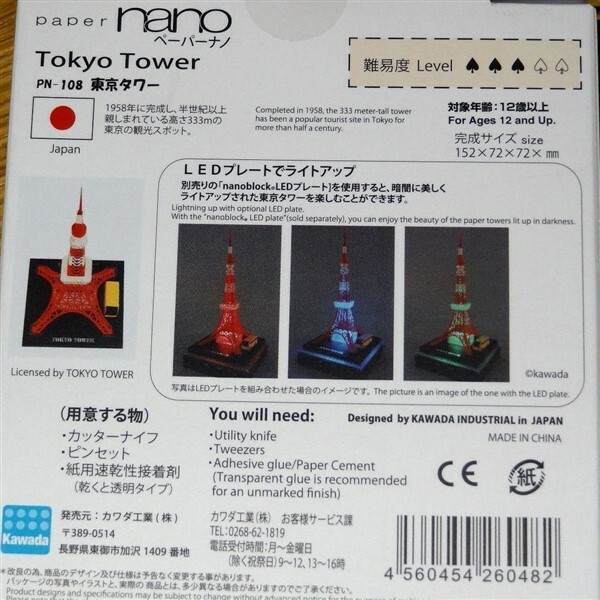 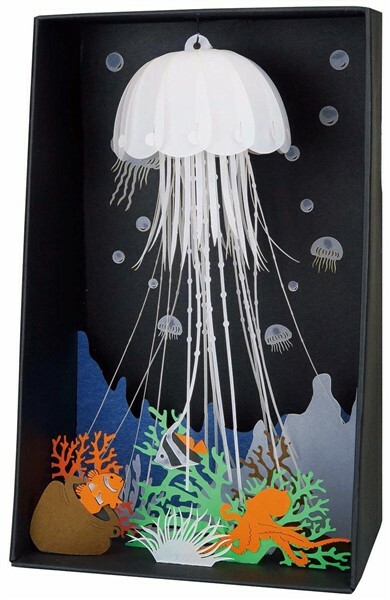 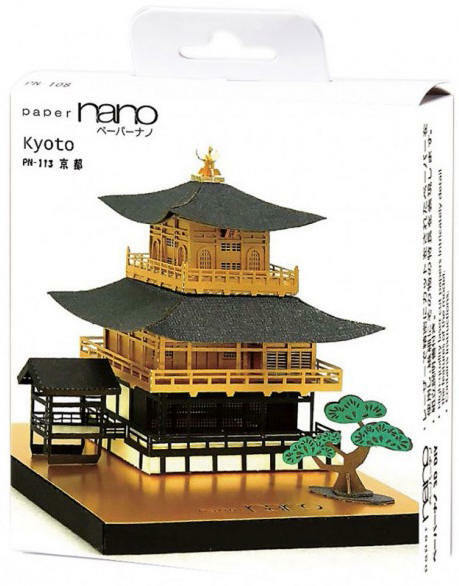 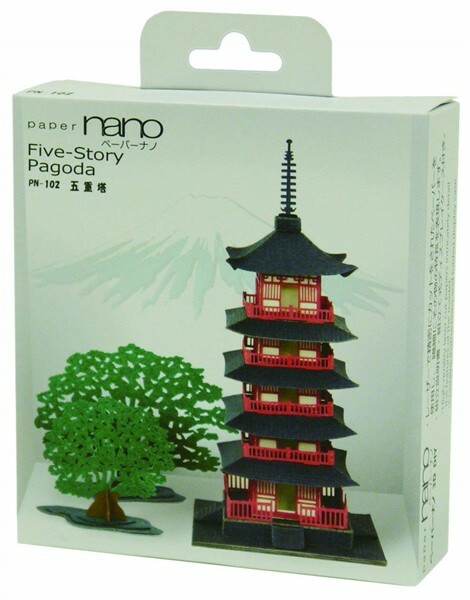 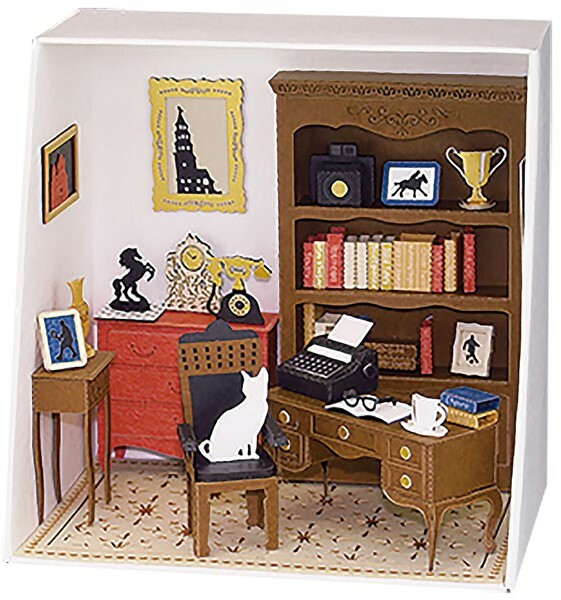 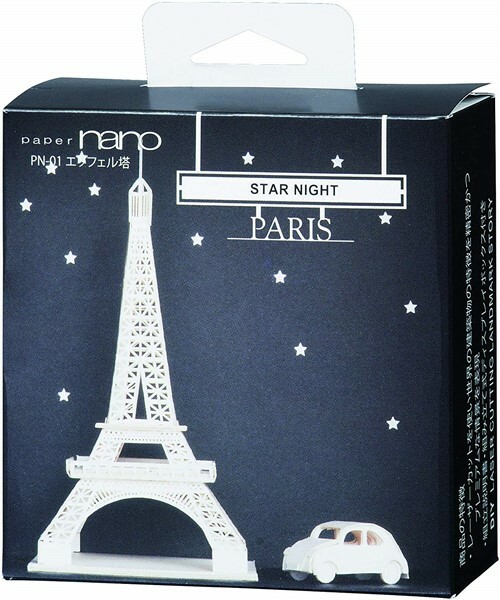 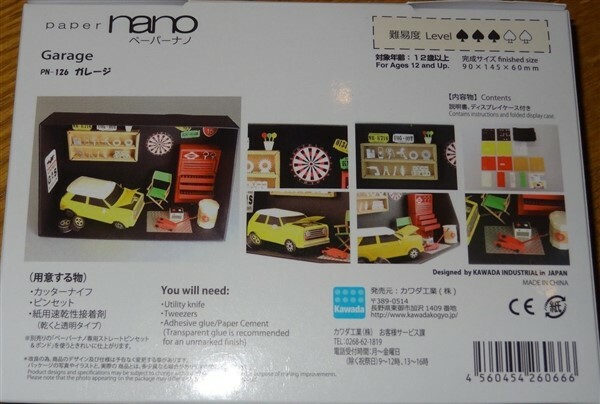 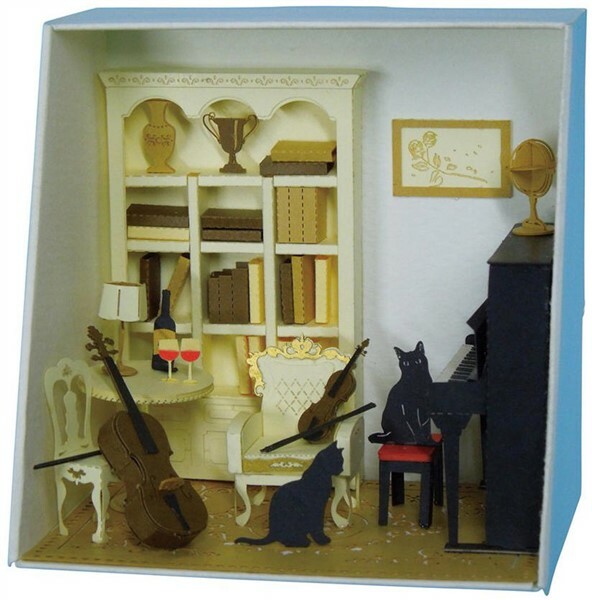 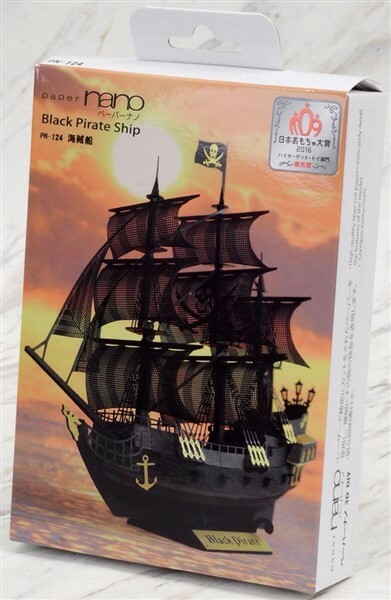 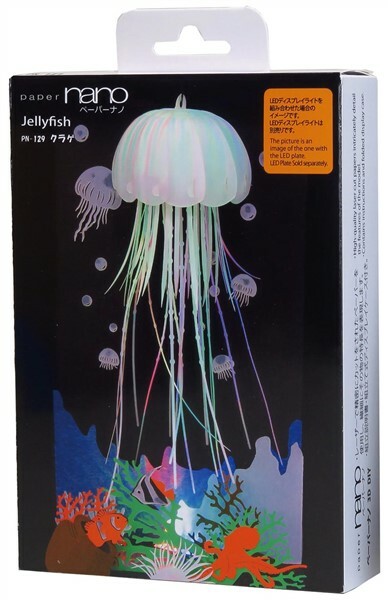 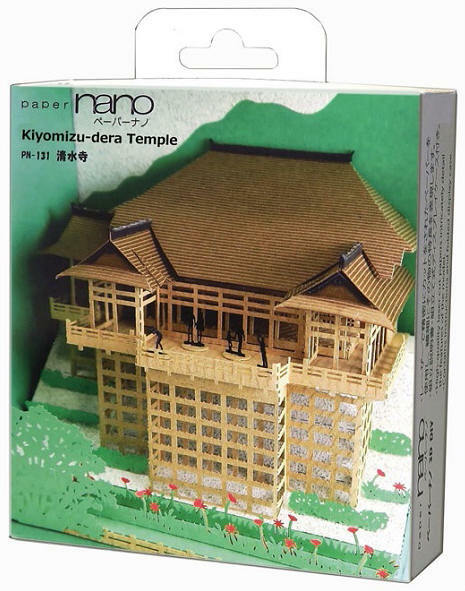 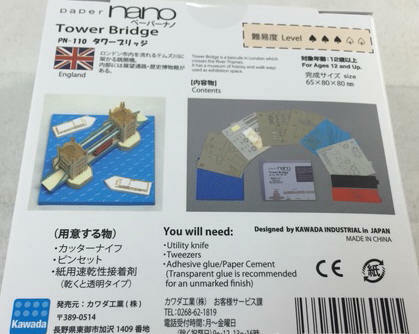 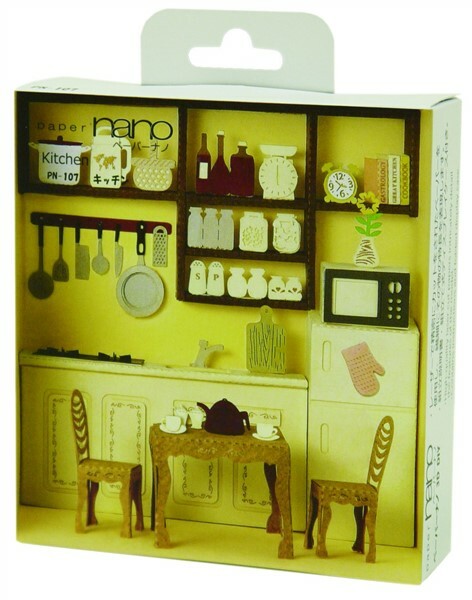 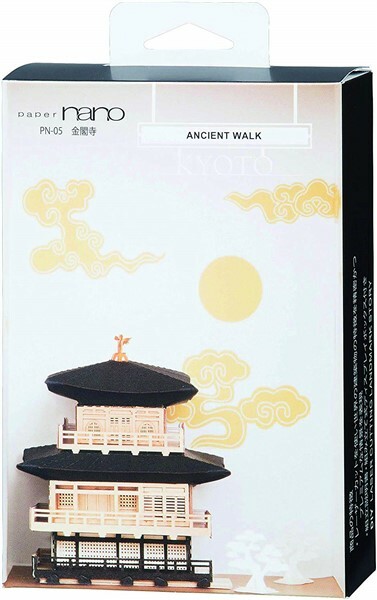 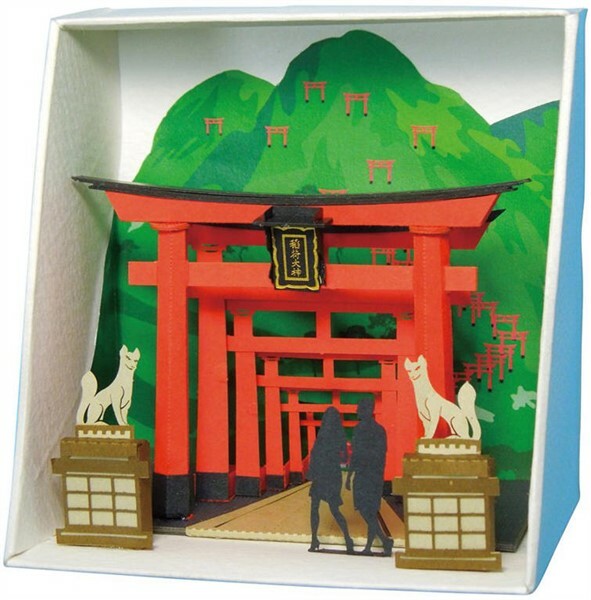 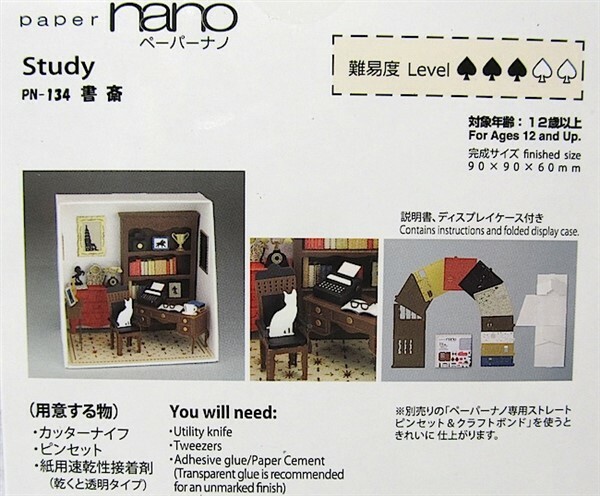 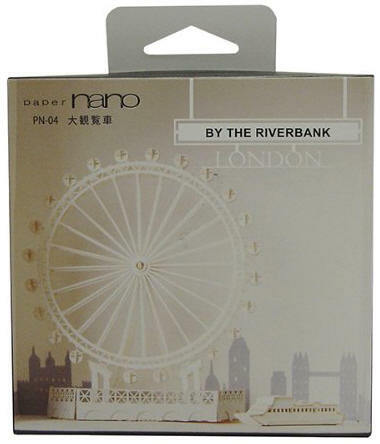 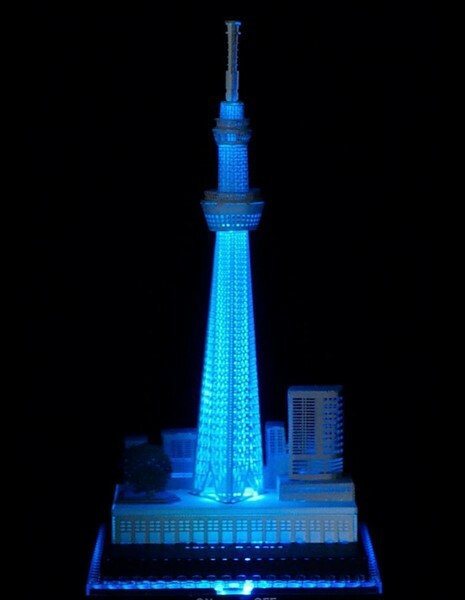 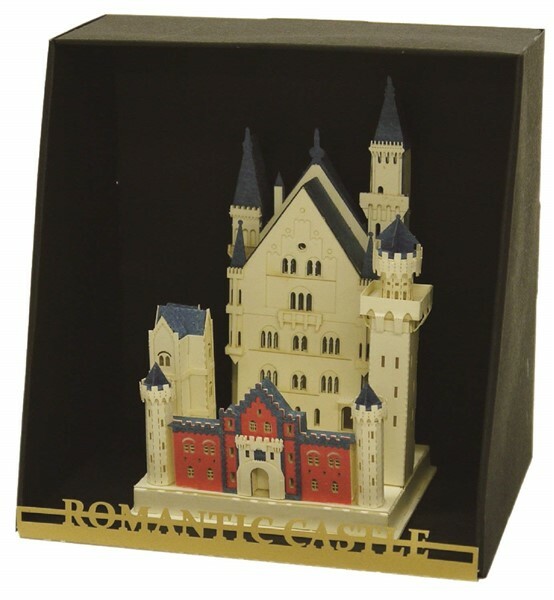 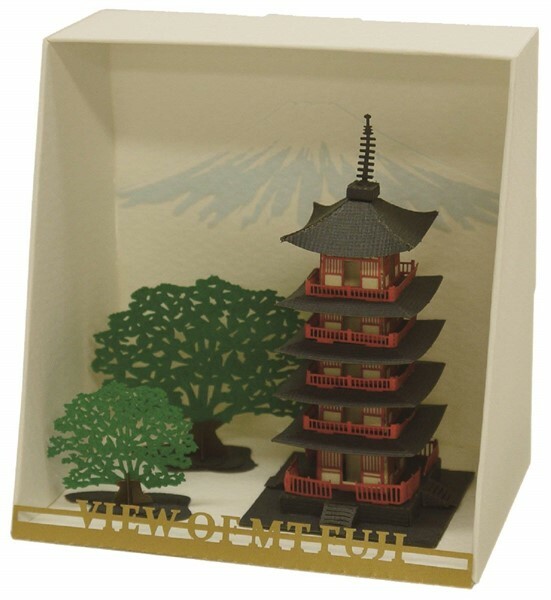 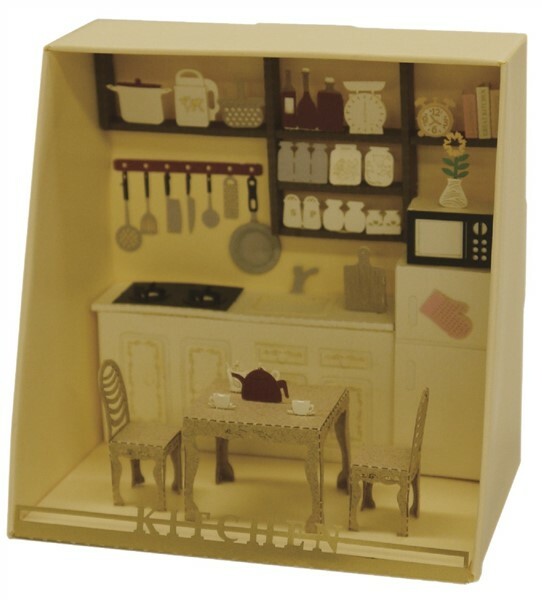 The Paper Nano models are designed by Kawada Ltd. in Japan and distributed by Schylling Toys. 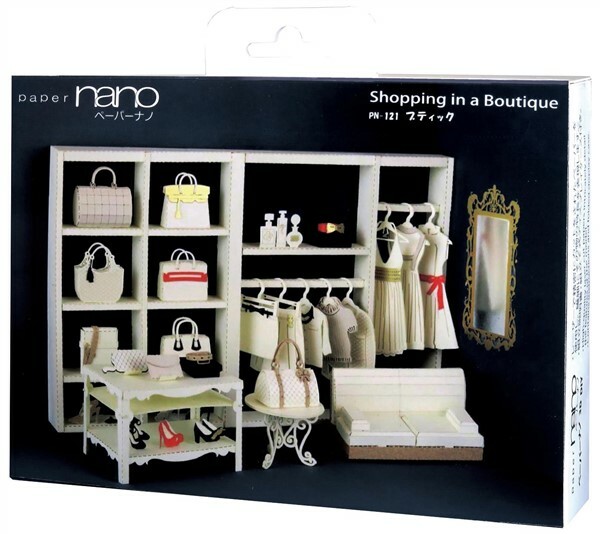 You can buy these models on numerous websites worldwide. 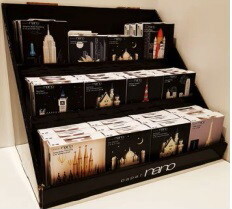 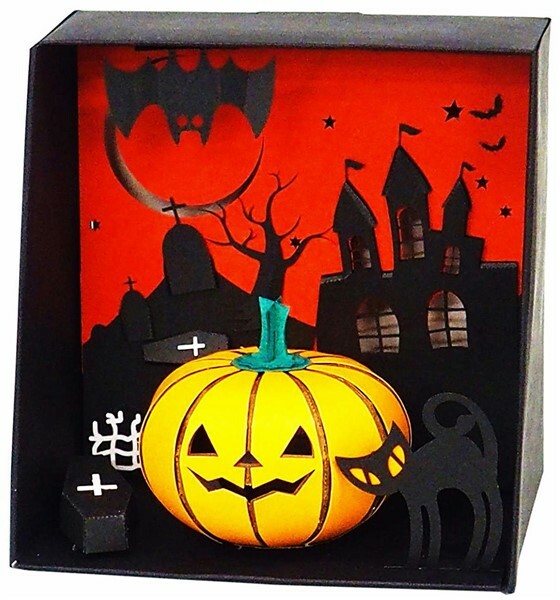 A Display Stand is available for shops. 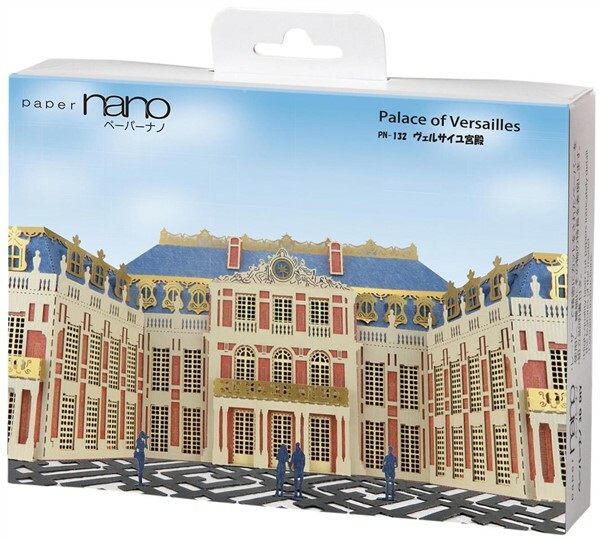 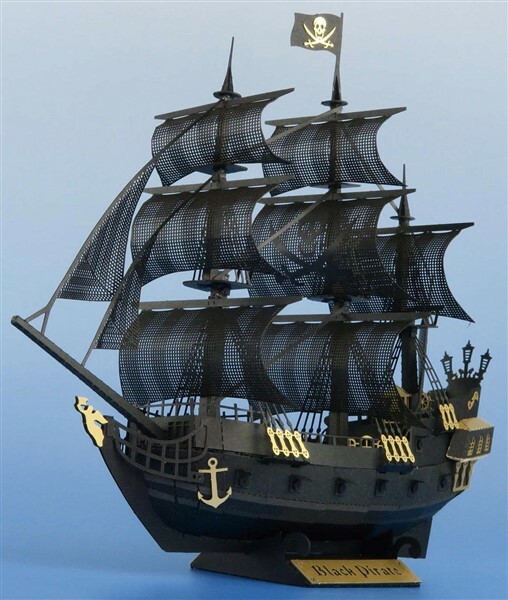 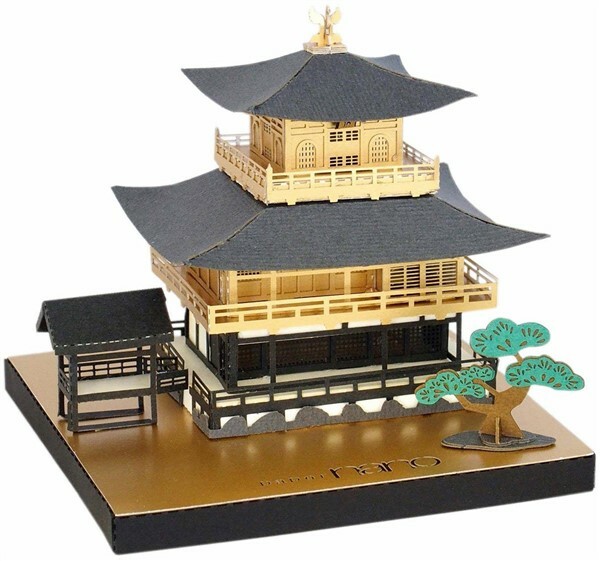 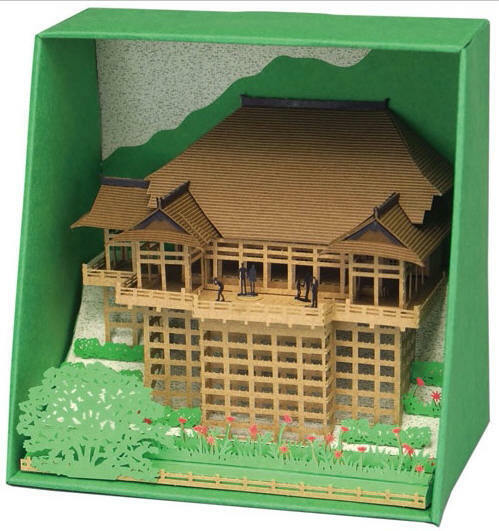 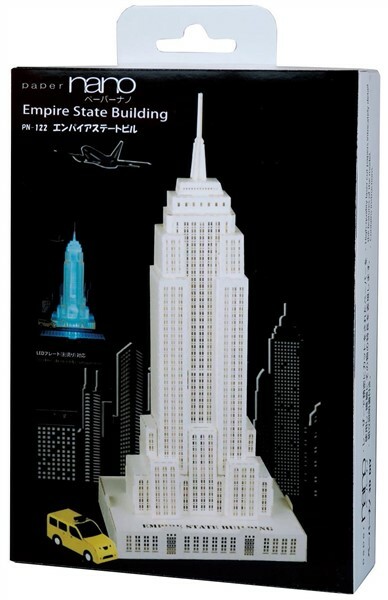 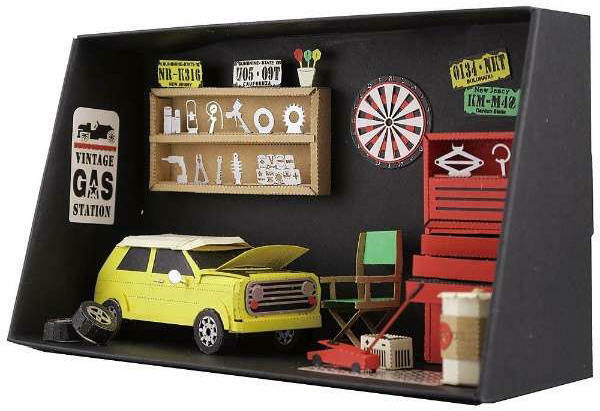 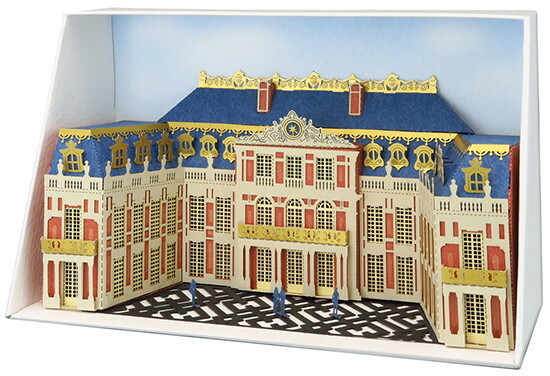 You can now make a wonderful, very detailed model without the problem of cutting out all those tiny parts. 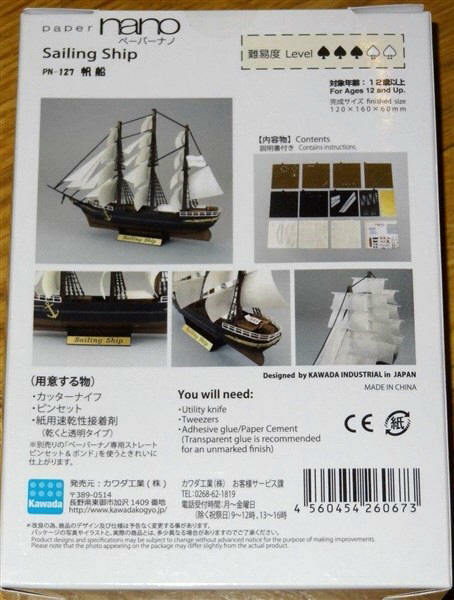 The very fine details are impressive. 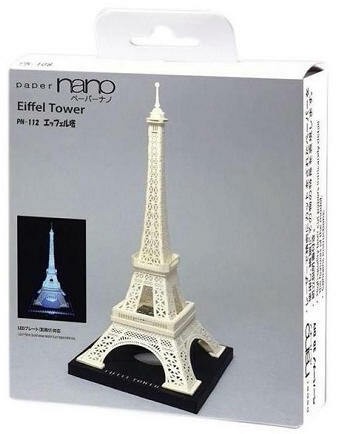 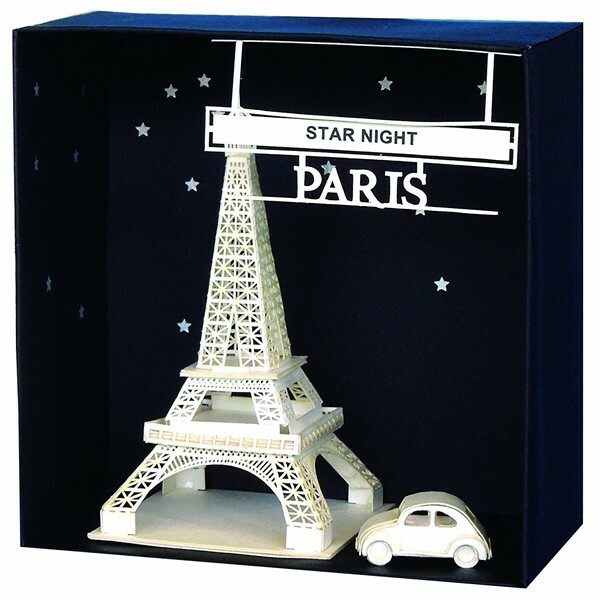 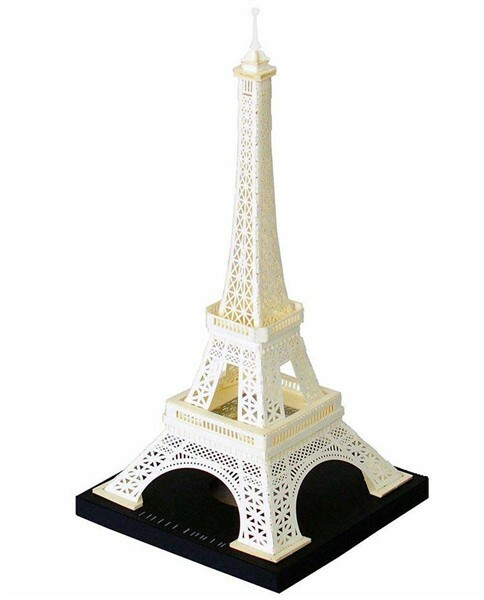 PN-01 Eiffel Tower was the first model and was released on 21 sep 2013. 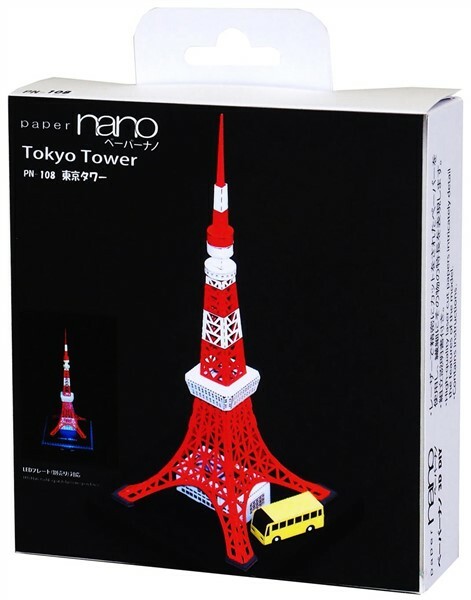 The release of the PN-100 series started in april 2015. 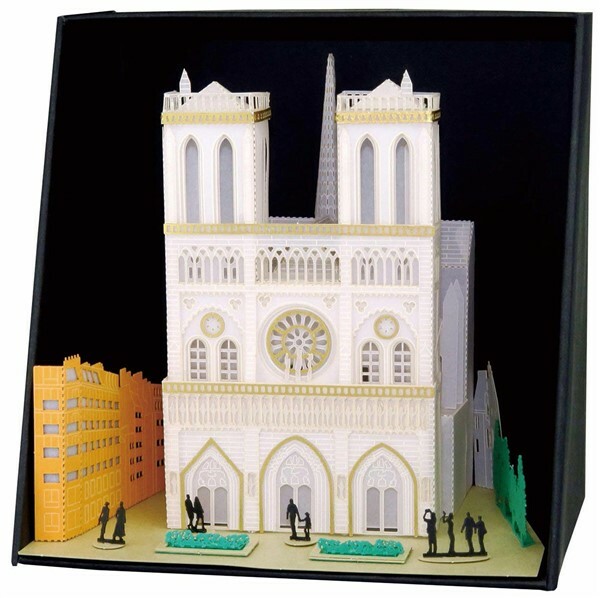 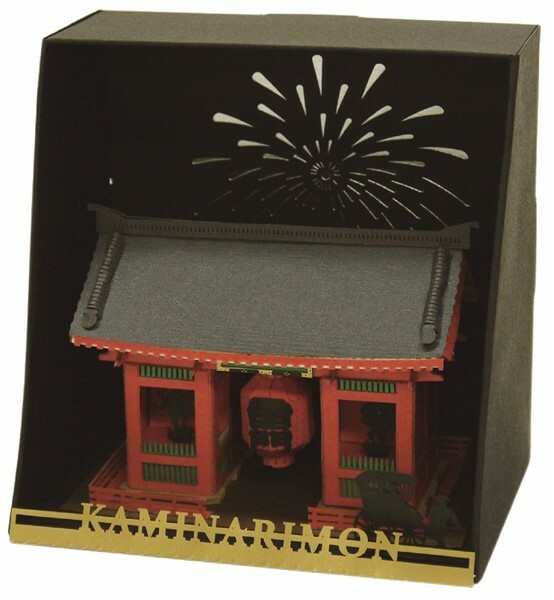 Many of the models are presented in a display box. 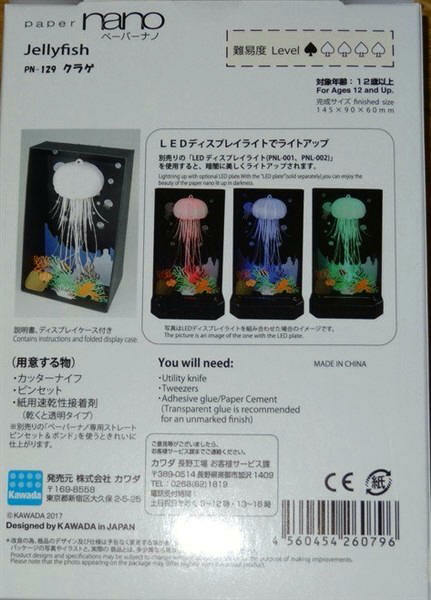 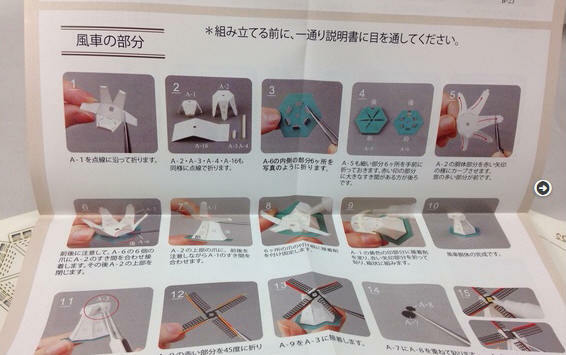 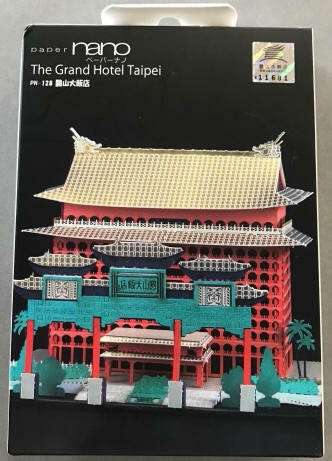 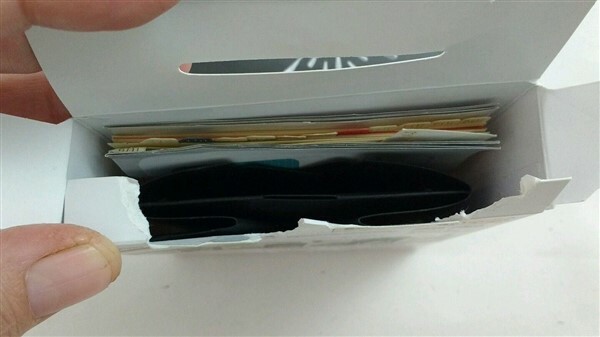 The instructions are detailed and in full colour, and most are both in Japanese and English. 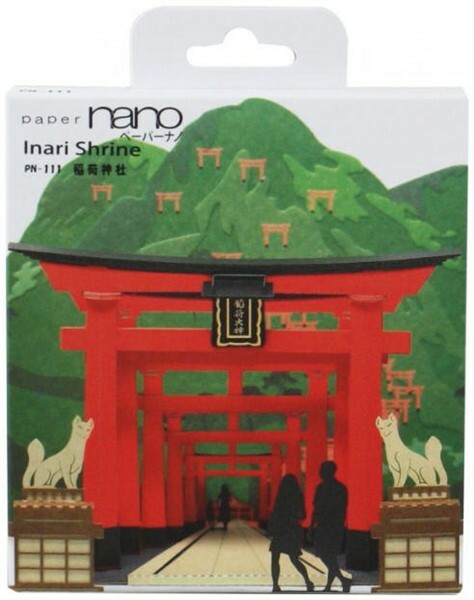 Another series is the PND Deluxe Editions. 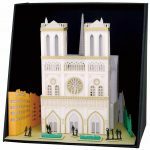 These models are a little larger than the other ones, so they can not really be seen a a micromodel. 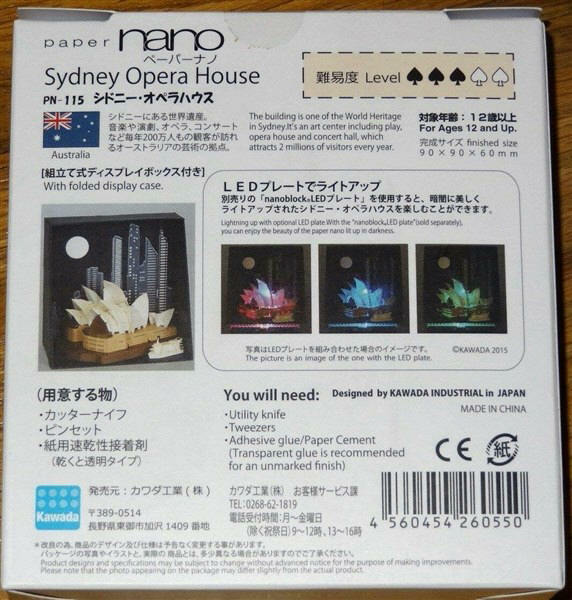 But due to the exquisite small details they deserve a place in the list. 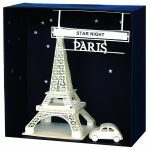 Finally there is the PNF framed series: models that can be framed and be put on your desk or on a wall. 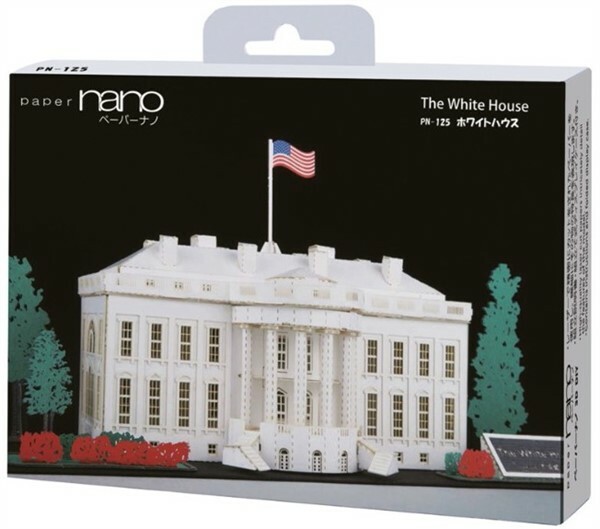 Again not exactly a micromodel, but still very detailed and small. 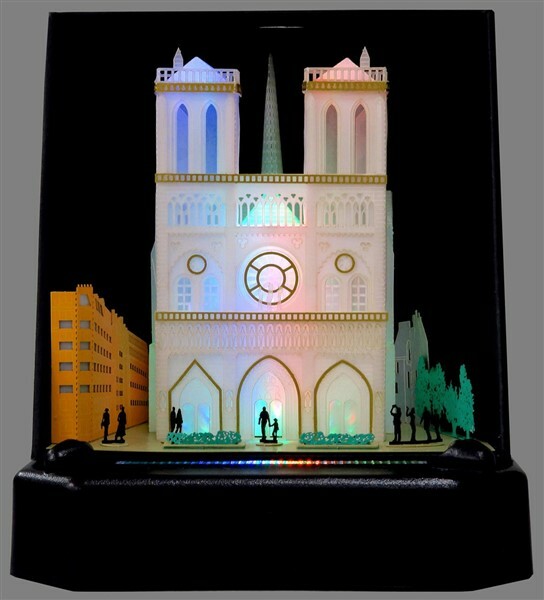 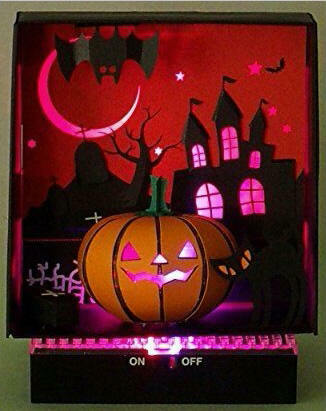 Led Display Lights with varied colours to be put under your model. 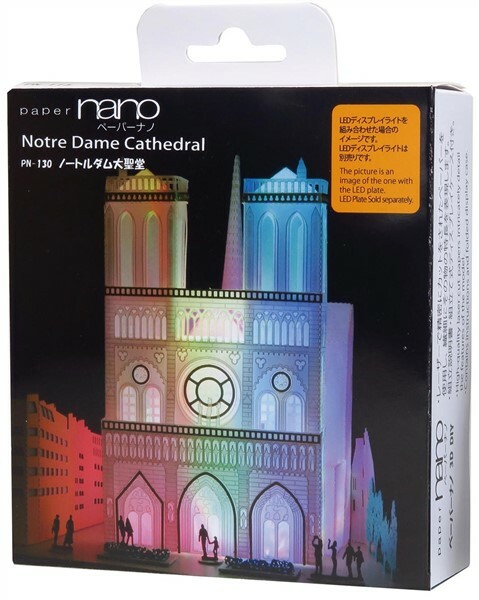 Some models can be beautifully lit. 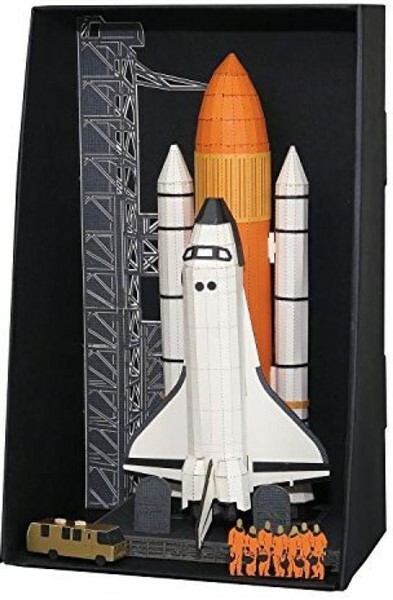 Not all the models have correct dimensions. 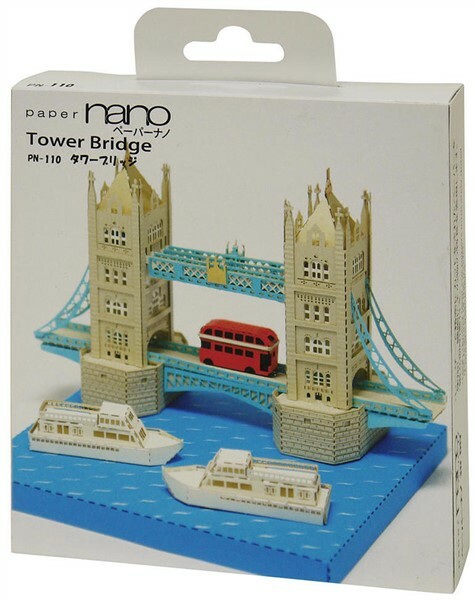 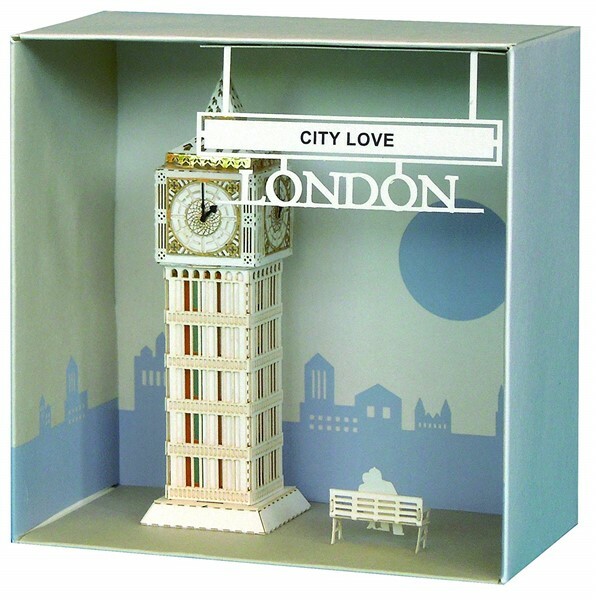 The Tower Bridge (PN-110) is a good example. 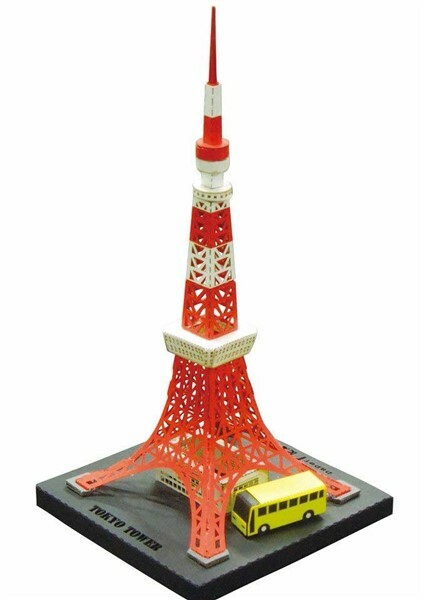 The towers are too large, the sides of the bridge too short, and the bus is so huge it does not fit under the gate. 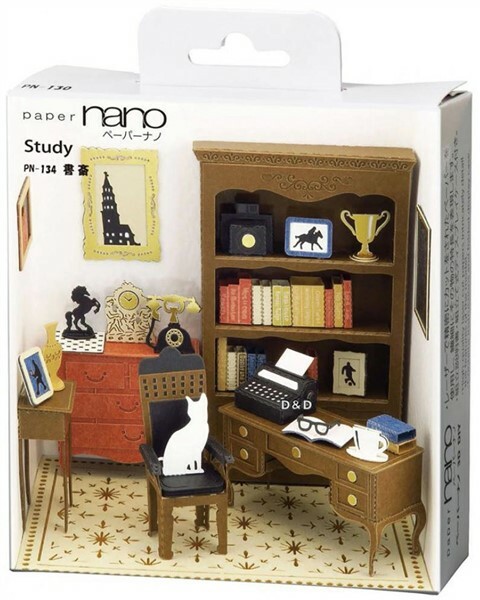 This model is more of a caricature than a realistic model but it is still a cute one. 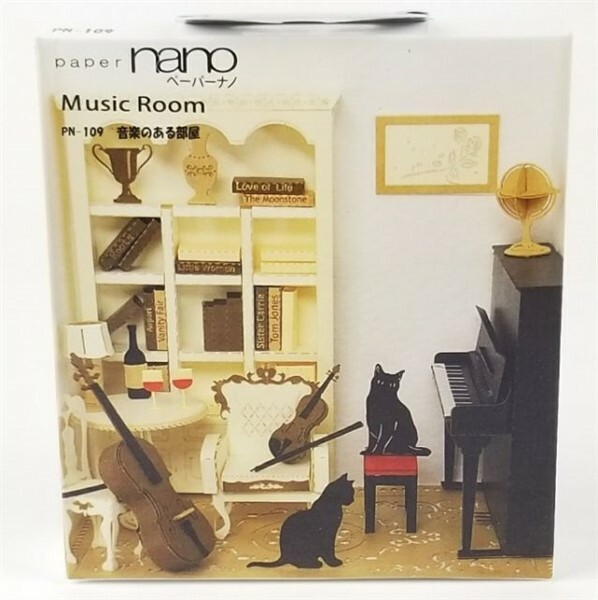 The PN-100 series have some improved models. 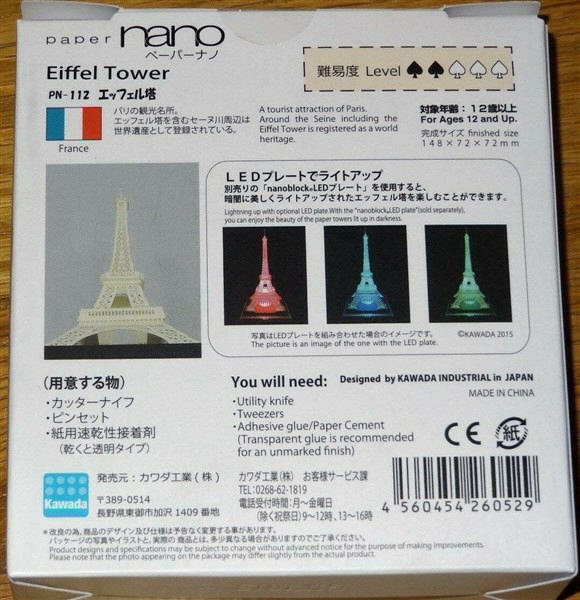 One example is the Eiffel Tower number PN-01 and PN-112.